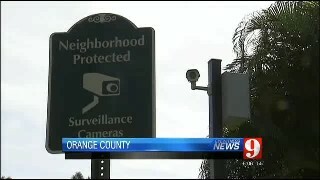 ORANGE COUNTY -- Orange County leaders are considering a plan to allow homeowners' associations to place cameras on public right-of-ways as a way to prevent crime. “The more proactive we are in our communities, the better off everybody is going to be,” said HOA president Jeanne Hyde. Hyde said that’s why her Dr. Phillips Community installed cameras in the neighborhood. Last year, it received notice from the county that the cameras are not allowed and must be removed. “We felt we were actually helping the county out,” Hyde said. The cameras had to be moved to private property controlled by the HOA, but the county is now considering allowing the cameras in public areas as long as the HOA gets a permit. 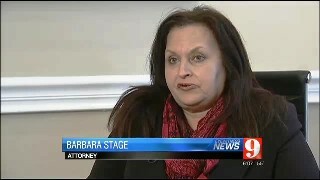 “It’s a lot of potential for abuse,” said attorney Barbara Stage. Stage warned that there could be drawbacks. The cost of maintenance is high, there are liability issues and Stage said there are concerns about privacy and who can access the video. “There was someone who used the cameras to spy on a single woman to see who she was hanging out with,” Stage said. Some residents said concerns about crime outweigh their concerns about privacy, and they’re all for allowing HOAs to place cameras in public areas. “I think the bigger issue is to stop crime. If you’re concerned about privacy, draw your shades,” said homeowner Jon Black. Some HOAs don’t have a lot of extra private property, so a proposal to allow cameras on public property would give them more options. County commissioners will take a first look at the issue next week.